DRIVERS NEEDED!! Must have a NYSCDL, be at least 21 years old, pass a NYSDOT physical, drug screen, background check. P/T, M-F. Visit: Carrier Coach Inc, 79 Sheldon Ave, Depew. DRIVERS NEEDED IMMEDIATELY! Must have a NYSCDL with a minimum Class "C" and "P" Endorsement. Must be at least 21 years of age, be able to pass a NYSDOT physical, drug screen and background check. Part- time. Monday- Friday. Please call Tina at 716-627-5919 x302. OUT POSTED DRIVER Position available to qualified candidate: Must have a NYSCDL with a minimum Class "C" and "P" Endorsement. Must be at least 21 years of age, be able to pass a NYSDOT physical, drug screen and background check. Part- time. Monday- Friday. Please call Tina at 716-627-5919 x302. DRIVERS NEEDED Immediately for our Gowanda Location. Must be at least 21 years old, have CDL with "P" and "S" Endorsements. Physical & drug screen required, background check. Call Peggy at (716)532-2600 Ext. 211. VAN SLYKE'S DAIRY FARM, LLC is searching for qualified applicants for a Full Time Farm Mechanic position. This position is split 80% mechanic and maintenance work and 20% machinery operation. Ideal candidates be able to demonstrate good communication skills, honesty, a dedication to learning, a detail oriented personality, strong welding and shop skills. Candidates with their own tools are preferred but not necessary. Prerequisite of 3 years experience repairing large equipment and trucks. Competitive wage and benefit package available. Please apply in person at Van Slyke's Dairy Farm, LLC, 7058 Lamont Rd, Portageville, NY or send resume by fax to 585-493-5349. WANTED: BARTENDERS/ WAIT STAFF- Good people skills needed, clean and adaptable. Experience not needed will train. Must be able to take direction. Flexible hours. WEEKENDS ARE A MUST! Apply at Wicked Glen, 29 South Water St., Gowanda. FOLTS FARMS is looking for local tri-axle drivers, full & part time, experience required. 337-0482. GROWING MANUFACTURER in the transportation industry has multiple permanent, full-time job opportunities as Quality Technician, Salesperson, Assembly and Fabricators, and Truck Driver. Email: [email protected] solutions or call (716)257-3475. DRIVERS: Local Recruiting Fair 1/20 to 1/24! CDL-B w/ Passport come see us about Great Pay, Hometime! No-Forced Dispatch! New singles from Buffalo to surrounding states. Apply: TruckMovers.com Call for appointments: 1-855-279-2855. PART TIME BUS MONITORS needed in East Aurora. Keep our vehicle at your home! Must be at least 19 years of age, pass a physical, drug test and background check. Call Tina at 716-627-5919 x302. P/T BUS MONITORS needed in Alden. Keep our vehicle at your home! Must be at least 19 yrs of age, pass a physical, drug test and background check. Call Tina at 716-627-5919 x302. BARBER/ HAIR STYLIST: Work for yourself. Chair rental available. FIRST MONTH FREE. Great location in heart of Hamburg Village. Clean, comfortable, affordable. Call: 673-9869. FOOD SERVICE WORKERS/ CASHIERS/COOKS NEEDED FOR STARPOINT SCHOOLS. Call 716-210-2336 For Info. WANTED: PART TIME/ Full- Time Bookkeeper to train for 1 year then move to full time permanently. On site. Must be Excel and Quickbooks literate. Send letter of interest/ resume to: Box "HM", c/o Hamburg PennySaver, Hamburg Village Square Plaza, 141 Buffalo Street, Hamburg, NY 14075. EXPERIENCED CHEF with creative ideas. Potential for partnership in well-established Southtowns restaurant. Experienced waitress for afternoons. Serious inquiries only. 445-3200. EXPERIENCED LINE COOK, pizzeria cook and delivery driver wanted. Driver must have own vehicle. Apply in person Main Street Pizzeria & Cafe 56 East Main Street, Springville. 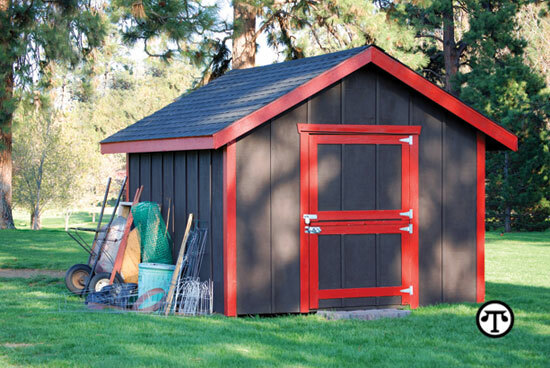 HELP WANTED: Experienced Carpenter for new home framing. 485-6054. 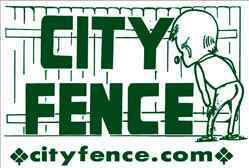 City Fence is currently recruiting full-time employees to expand our fence installation teams based at our Lancaster, NY, facility for work on residential and commercial sites throughout Western New York. We are seeking experienced fence installers and are we also willing to train qualified individuals who are without fence installation experience. Job Description: Our fence installers must be able to perform general labor duties outdoors, under varying weather conditions, to meet timelines. Candidates must be presentable and able to display friendly customer service with communication skills to relate to customers regarding installation particulars. Must also be able perform basic math functions and must be able to work with a team as well as work alone. Other key requirements include: •	Must be able to read fine print on property surveys and hear within a range of 50 feet •	Must be able to work standing up for 8-10 hours in a given day •	Must be able to lift 100lbs without accommodation •	Must have mobility for frequent pushing, pulling, bending, and stooping •	Must be able to frequently squat down and reach above shoulder height •	Must be able to safely climb ladders to heights of 25 feet Employment at City Fence is "At Will" and subject to a Background Check. To apply please use the form on our website at http://www.cityfence.com/City-Fence-Employment.aspx, or Call 716.206.0511, or e-mail [email protected] Pay Scale: $11 to $20 per hour, depending on experience. Principals Only Please - No Recruiters! ood day, Are you in need of Urgent Loan Here all problem regarding Loan is solve between a short period of time with a low interest rate of 2% and duration more than 20 years what are you waiting for apply now and solve your problem or start a business with Loan paying of various bills just email us.